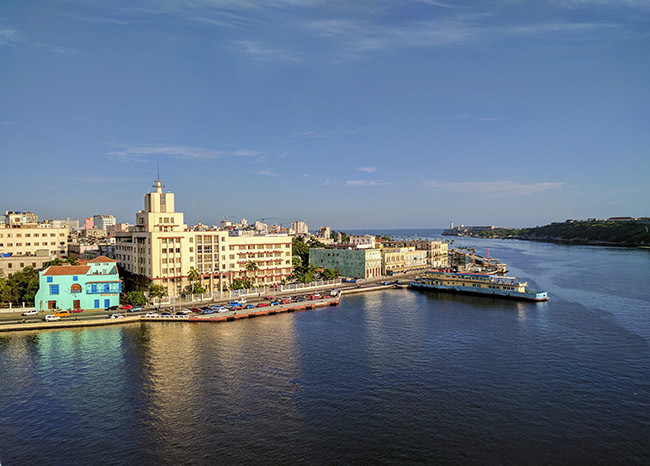 Day 3 of our Empress of the Seas cruise took us to Havana Cuba, the highlight of the cruise for most guests, I'm sure. I've lived in South Florida my entire life, been lucky enough to travel much of the world, some of my closest friends were born in Cuba, and yet I was hopeful but never sure that I'd get to visit the island nation just a short distance away from my home. Summing up this trip and walking away would sell it short and so I'm sure there will be more to come. We arrived in Havana around 7:30am and the tour for which we were booked met at 8:30 at Boleros. This is quite early for us, but for a new and exciting destination we were happy to start our day early. As we got breakfast and headed to Boleros, we saw the the Havana skyline. 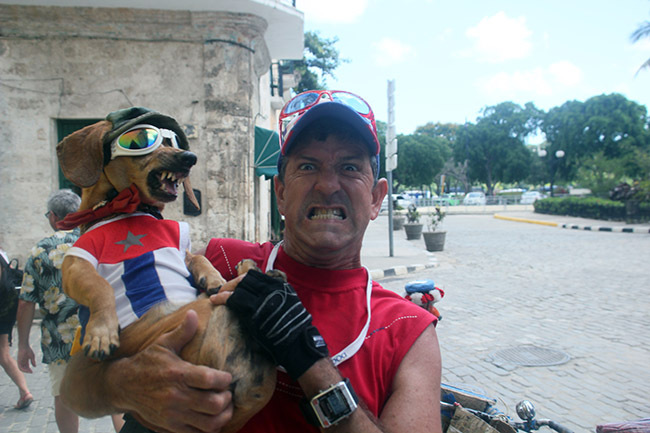 It was then that the reality set in that we were in Cuba, and we got so excited. 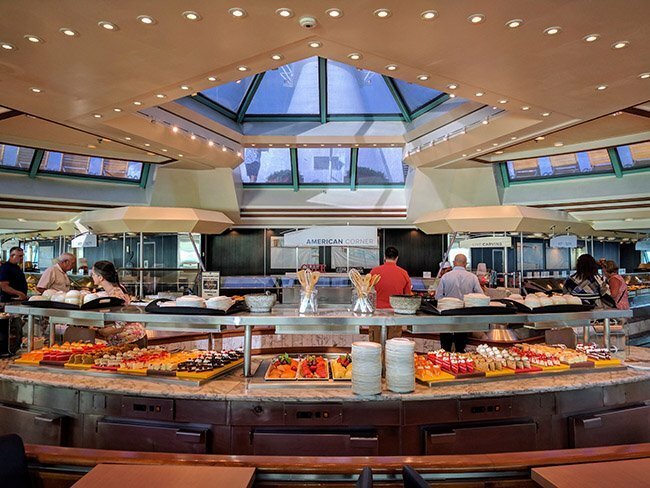 Arriving in Boleros, I was impressed as Royal Caribbean did a fantastically efficient job of making sure that all guests walking in to Boleros had their documentation. They then assigned you a number (which correlated to the group and bus you were on), so they made it clear to not ask for your group number until your entire party was present so that you could stick together. In short order we headed off the ship, and for the first time in my life I was on Cuban soil. I've never been more aware of stepping foot in a new country. It's important to know that this isn't because of anything that was particularly different, it was just something for me personally that was of great significance. I had no real reservations about this trip, but I was a bit concerned that the process of going through passport control, changing money, etc was going to be a pain, or at least take time. 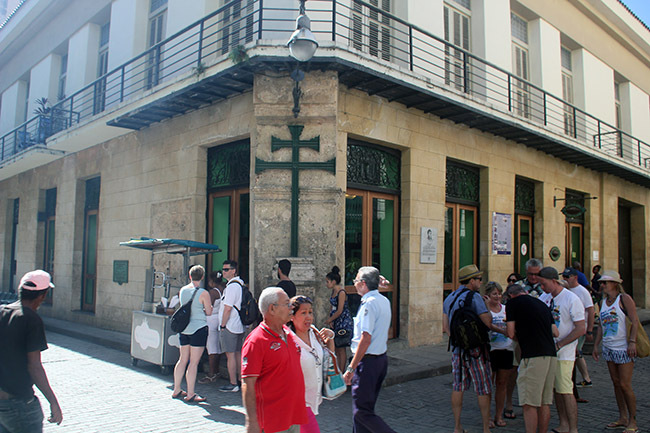 Not just because it's Cuba, but even arriving in the EU can mean long lines at immigration. I was pleasantly surprised to find that we simply walked towards numbered booths to present our passports and visas, they took our pictures with a webcam (just like when you check in for a cruise), and then we were set to go. Walking from passport control, the building was quite modern, though a bit plain, and warmer than some might be used to, but not unbearable. Next stop is security, which was odd in that you go through metal detectors and such going into the country. They were efficient, and the process painless. Take a look at the women's uniforms while there, as I bet you've never seen anything like this in terms of government employee outfits. Skirts must be taxed based on length. We proceeded to an area where we changed currency. I wrote up some tips for changing currency, as Cuba has a two-currency system, and the taxes can be high changing US dollars. I'm pleased to report this process was very quick. I changed some British Pounds to CUCs, the local currency for business and tourism and was on my way in less than a minute to meet back up with our tour group, who waited for everyone to change money. In previous posts I mentioned that we changed tours because of schedule changes, and we ended up on the walking tour from Royal Caribbean, as it started early enough that we had time to explore on our own after the tour. 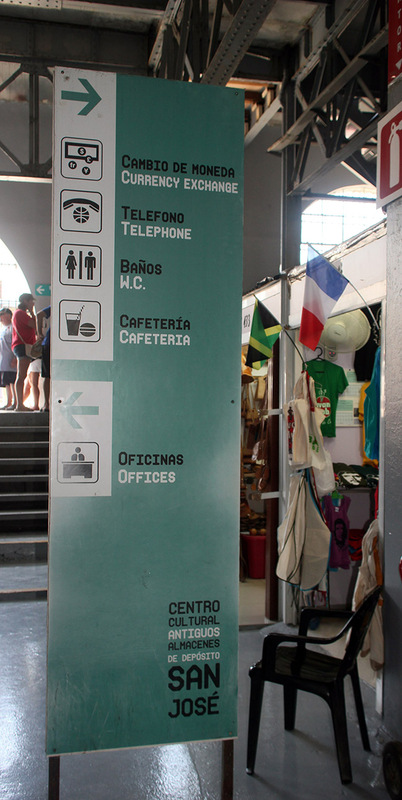 We started in Plaza San Francisco, which is where arrive as soon as you leave the cruise terminal building. After an explanation of the history we were given 10-15 minutes to explore on our own before meeting back with the group. This pattern was standard fare for all four plazas we visited on the tour. Each had a story, a history, interesting buildings, and were connected by narrow alleys. I won't go into the details of the tour here, because as mentioned, there is so much to unpack and I don't want to lose sight of my goal, which is to provide a summary of our day. This isn't in any way for lack of amazing information and experiences. 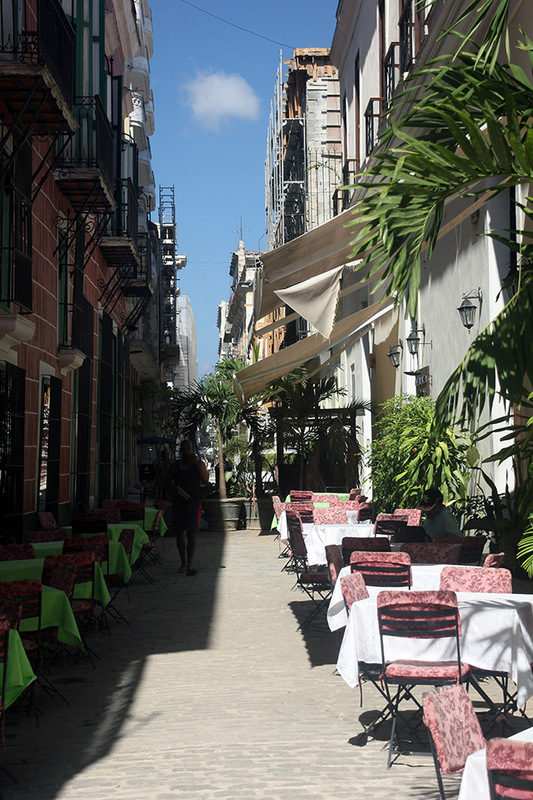 I will mention that in Havana Vieja, the area nearest the port, the streets are sometimes stone and uneven, but there are marble or concrete sidewalks in many areas. If I was going to rate the difficulty of walking in this area, on a 1-10, where Las Vegas sidewalks are a one and the uneven and steep cobblestone paths in Eze France are a ten, Havana Vieja was a five. That is to say persons with mobility issues will get by, but will want to use caution and may tire a bit more quickly than some other areas. 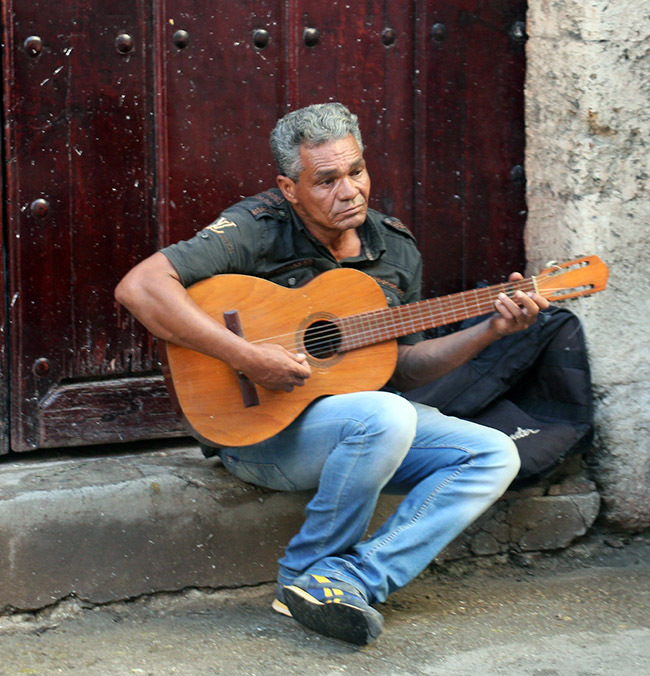 On our tour, we encountered a number of buskers, but for the most part there wasn't any pressure. There were a couple exceptions, such as the women n traditional dress who wanted money to take photos with them, and would give you a big lip-sticky kiss. That experience isn't on the top of my list, but I feel like if you make eye contact you may have some level of social obligation to throw them a few CUCs, or possibly marry them, I'm not clear on how this works. As we walked from plaza to plaza we made a few stops. One of them was at the Museo del Chocolate, the Chocolate Museum. I. Love. Chocolate. Now, to call this a museum may have been a stretch unless there was another section I wasn't aware of. There were some display cases containing samples of different ingredients, agriculture tools, and factoids on placards. The highlight here was the chocolate. They had a menu, which a smarter writer would have taken a picture of, but I do recall that they have around 15-20 varieties of truffles containing rum, nuts, mint, and more. They ranged from $.40 to $.50, and larger plain chocolate pieces were $3-4. I bought $7 in truffles and while they melted quickly in the head, they were awesome. 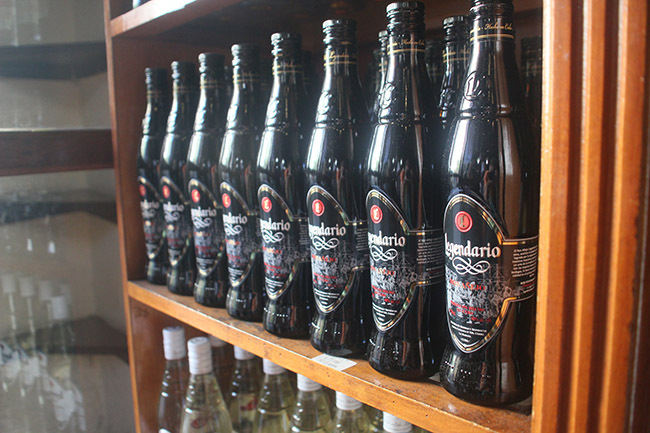 Another stop was at a store which sold nothing but rum, cigars, and coffee, three items for which Cuba is quite famous. 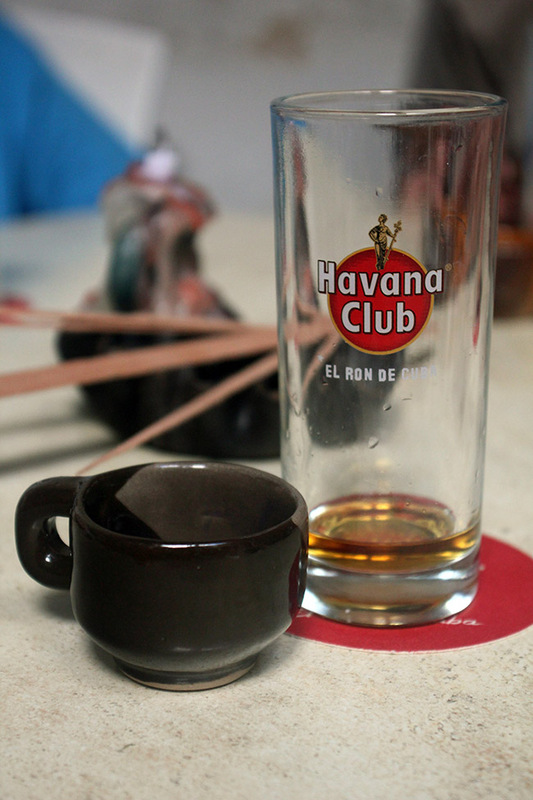 I always like to stock up on Havana Club, Cuba's dominant brand of rum, and we always bring some back from Mexico and other countries, so it was exciting to see it at its source. I opted not to buy any at this stop because I didn't want to carry it around and knew I could find it again. Cigars were a big hit with many guests, as was the coffee. One thing I noticed here was that there are far more Cuban rums than Havana Club, though it's certainly the most popular. At this point we walked towards an air-conditioned bus, which was a welcome sight as it was a very warm day and everyone was ready for a break. The bus ride was very short however, but took us to a well shaded courtyard where we were to sample rum, coffee, and cigars (seems a bit out of order, no?). I enjoyed the rum and coffee. Larissa and I were both impressed that the coffee wasn't overly-sweet as is common in Cuban coffee back home in Miami. Guests who were so inclined were taught how to properly light and smoke cigars, and things got very social. Some guests were dancing with the tour guides (who were fantastic in every way, by the way), and I checked out one of the shops in the courtyard, buying an original photo of some murals in Havana. I fancied the picture and while I was hoping for a print, I was also quite happy to pay $25 for an original photo. We chatted with the shop keeper whose only son lives in Miami. It's incredible to think about how happy everyone seems to be (and I don't think it's a faced in any way), but that so many have family in the US. I could tell she missed her son but more than that it was clear that she was happy he had an opportunity to live in Florida. I left wondering if I'd ever met, or might one day meet him. After the tasting, we got back on the bus and headed back to Plaza San Francisco right by the ship. I took this opportunity to chat up our tour guide again, inquiring about how to best get into town from the airport, because I was already planning on a return trip at this point. In case you're wondering, there is no easy way, so you either find a friend or take a cab. Most headed back at this point, but we wanted to explore on our own. Walking around we found a restaurant where we had a snack and some local beer. The restaurant was on the second floor of a building in Plaza Vieja, where school children were exercising and playing, locals chatting, and tourists taking pictures of a naked women riding a giant rooster. It's actually a statue that has to do with female independence and the county's first female teacher, but describing it first was more fun. 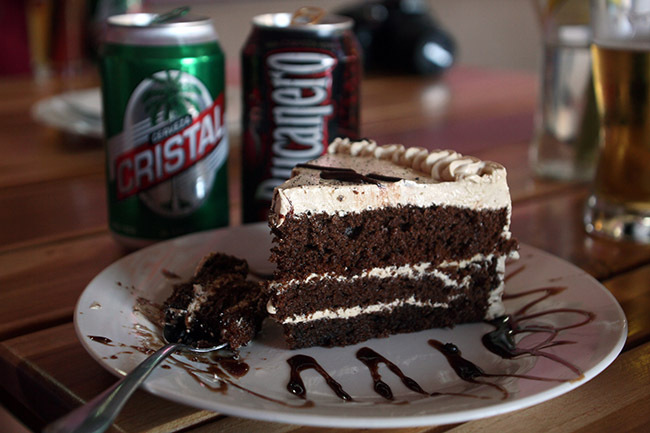 The cake we had was delicious, and the beer wasn't nearly as cold as one might be used to, but it was still refreshing. The bill came to $11, which I thought was reasonable, though I'll note that I saw places elsewhere advertising sandwiches for $2.50 and beer for $1, so shop around. Also note that there are two types of restaurants in Cuba: normal/state run businesses, and private businesses, called paladares. The government owned establishments are probably more consistent (and the one we went to was perfectly clean, including the restrooms), and had clear pricing. Paladares, which I wish we'd have had time to try as well, may be great, though I get the impression you risk consistency. On the upside, you'd more directly supporting Cuban people at paladares. Following our snack we headed to do some shopping. Larissa and I needed rum and our friend Ron wanted a hat. There are no shortage of stores to buy knick-knacks, though many are tiny and have limited selections. Don't be afraid to haggle though, as I was able to get the price down for every purchase we made but one, and was even able to help Ron and another guest get a better deal too. 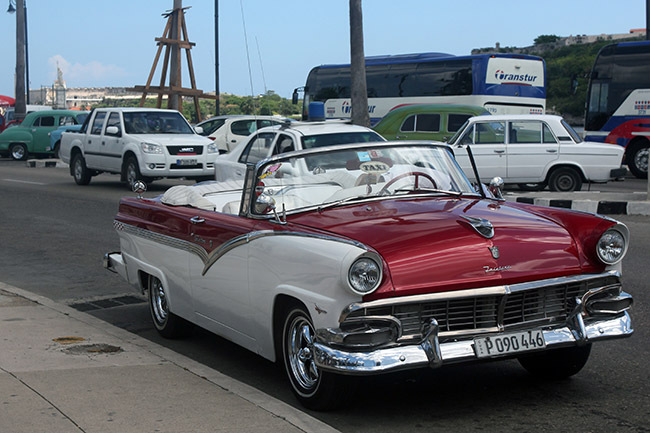 It never hurts to ask, though I'll admit that while I don't think non-Spanish speakers would have trouble in Havana Vieja, a bit of Spanish may help to get better deals. Looking for a larger selection of wares we asked some employees at a restaurant where to find a larger shop and they directed us to a large indoor flea-market about a ten-minute walk from where we were. This short walk may have been my favorite part. Why? When I'm in a new place I like to get lost, away from the touristy spots, and this walk took us that route. Seeing locals chat, seeing the less-polished looking buildings, and feeling like I was experiencing the real Havana for a moment made my day. This quickly ended when we got to the flea-market, though it was in a beautiful area on the water. The market had anything you could have possibly wanted. Rum, cigars, clothes, knick-knacks, internet access (which isn't free, read more on that here), another CADECA (currency exchange center), etc. We bought a number of items and would have liked to have spent more time here. If you've ever wanted to see the world's largest selection of Che Guevera t-shirts, this is your place. More than that though, they had some neat items, and we felt like they were less pushy than in many other countries. This was the place to get some deals. Frankly, it was cleaner, quieter, and there was less pressure than at flea-markets in Miami. At this point it was time to head back, which we were bummed about, though excited at the proposition of air-conditioning and a shower. Walking back in the terminal building you can now change your money back into whichever currency you prefer (out of the major currencies of course), and there is no tax for turning CUCs back in. Once again this area was quick. After this you go back through security, and then back to passport control where they stamp your passport once again. This whole process was very simple. Like that, our time in Cuba (well, at least standing on land in Cuba), was over. We enjoyed sail-away, and have a short video here, but then we had to run in as it started to rain. Better during sail-away than while we were touring. At this point Larissa and I really needed to relax and shower. After this we headed up to the Windjammer to have an oddly-timed meal which ended up being the first of two dinners. There were roughly five types of hummus, which was awesome, along with corn-chowder, balsamic glazed, veggies, a Cuban vegetable stew, and a number of meats. For dinner number two we headed to the main dining room and I had some more vegetarian Indian food, which was good, though not as good as last night. I'm now writing this while having a post-dinner drink or seven in the Schooner Bar. I'm quite tired but we I have a feeling it's going to be a late night based on the crowd and our schedules. Cozumel has started to feel like a second home to us, so we don't really have plans but are happy to be going. We're scheduled to arrive at 1:00pm, though we're also setting our clocks behind tonight, which makes the odds of a late night all the greater. This late night will make Coz, a great coffee shop in Parque Benito Juarez, all the more delicious. Guests walked right onto the ship with liquor from Cuba. I suspect that they'd need to run x-ray to properly find/hold liquor, and because the Cuba government did this right before getting on this ship they didn't want to impost on guests again. The process associated with Cuba travel (immigration, currency exchange, etc) was far less burdensome than I'd have guessed. There was more construction in Havana than I'd have guessed. 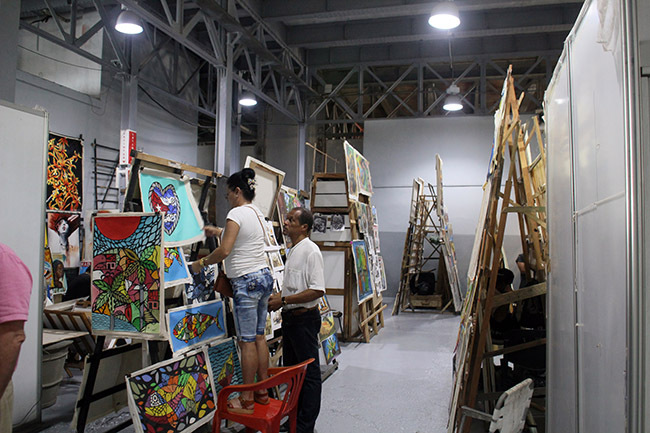 Some sponsored by the EU or other governing bodies, others part of Cuban preservation and historic groups or government divisions. There are no shortage of cabs or classic cars to get anywhere. Booking ahead is nice, but don't feel you're out of luck if you don't.